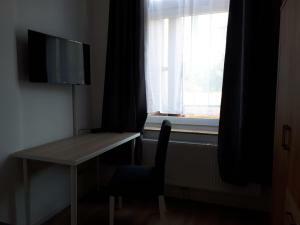 Attractively set in the Harburg district of Hamburg, Basement Küchgarten is set 13 km from Alter Elbtunnel, 16 km from Speicherstadt and 16 km from HafenCity Hamburg. The property is located 17 km from Dialog im Dunkeln. Free WiFi and a shared kitchen are offered. The units in the guest house are fitted with a flat-screen TV. Every room has a coffee machine, while selected rooms have a kitchenette with an oven. Guest rooms will provide guests with a wardrobe and a kettle. Miniatur Wunderland is 17 km from Basement Küchgarten. 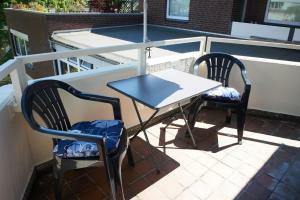 The nearest airport is Hamburg Airport, 26 km from the accommodation.